Some times, we see an interesting object while driving car or when we sit at car while waiting for someone. You can park your car for a while, get your camera and take a shoot to the object. However, of course, you should care of the traffics for your safeness and others. the above picture taken when I drove home. 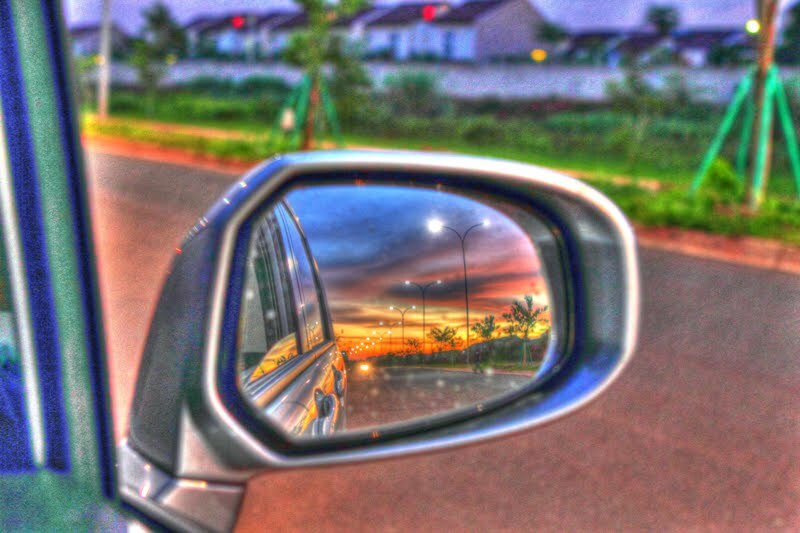 I found the beautiful sunset when I see the rear mirror. The road was empty and I had a chance to stop for a while. 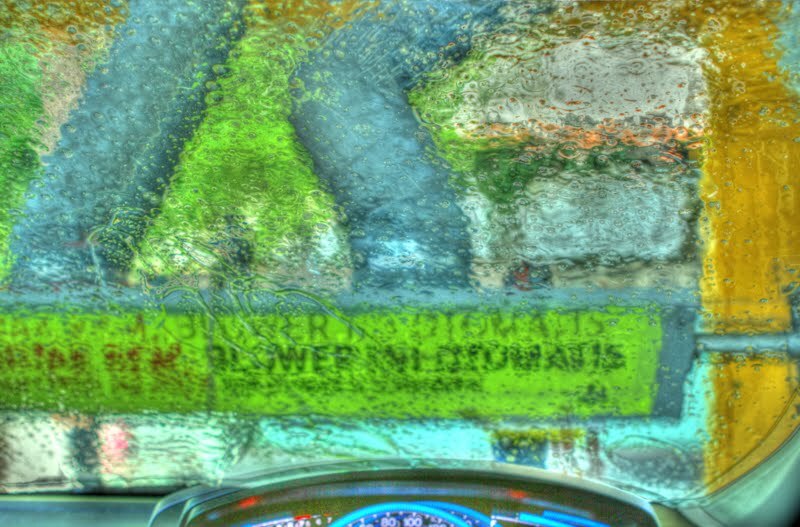 This picture above was taken while on the automatic car wash. Take dashboard to frame it. Effects of running water on the windshield, the image becomes blurry, but the results are amazing. 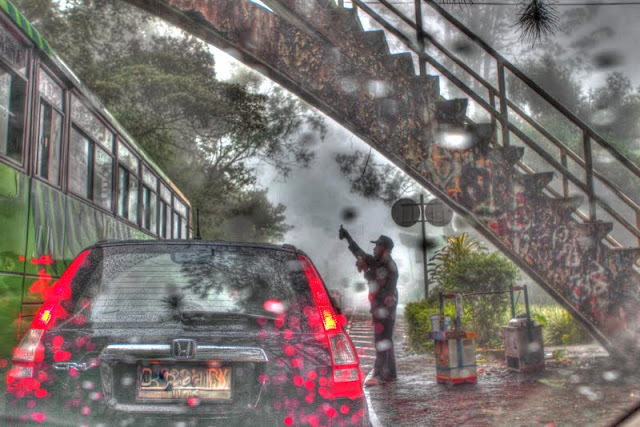 At the car park and were heavy rains. can not get out because there was no umbrella in the car. Blur images and sparkling lights from front stores make the image very beautiful. Waiting from traffic lights and crowded streets at after office hours. 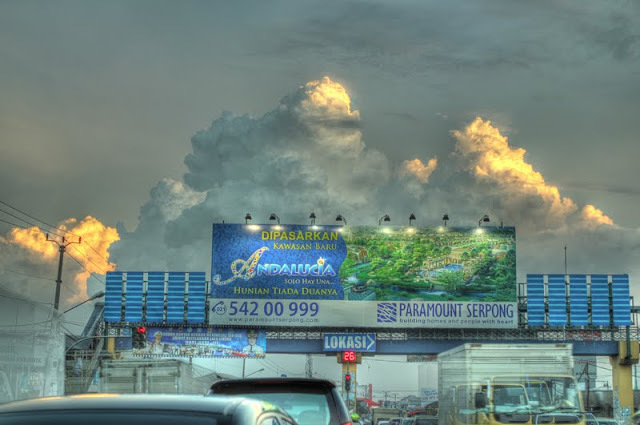 I saw beautiful clouds above is very good. I did not waste this occasion, immediately took the camera that always stand by. There is rarely an opportunity to capture the beauty of a cloudy sky. If we find it, immediately took the camera or mobile camera. One of the most interesting view is when we are on the plane. Well while waiting to take off or already above the clouds. Take a picture when the plane queuing for take off. At this time, the plane is relatively still and no significant shocks. 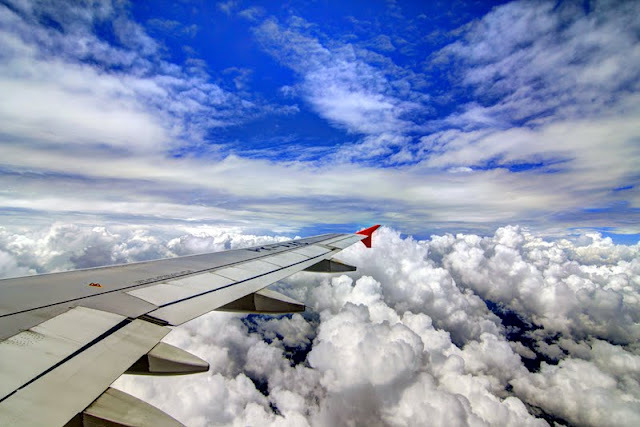 To get a good picture of cloud, the aircraft should already be in the clouds. Do not delay to aim the camera if there is a bunch of beautiful clouds. 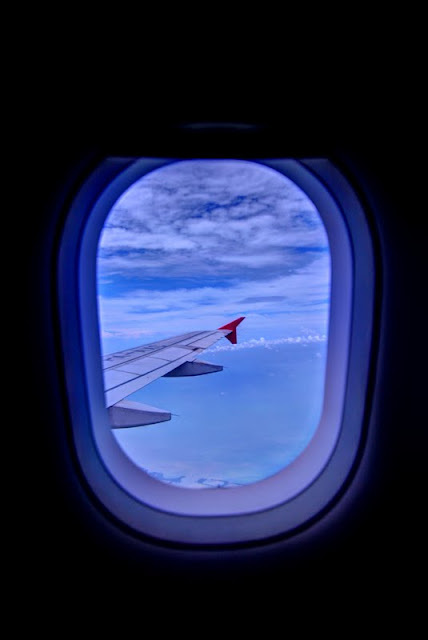 to avoid light reflection from the plane, attach the lens as close as possible to the window. Take wing aircraft in the foreground image. On a sunny day, you can take a picture with apperture in figure 8-10 with ISO 100. Point the camera slightly up to the sky to get a blue sky, or down to get the blue ocean. If lucky, we could get a picture of the mountains or sailing ships.